Writers On The Move: Time to Stop Writing! How many times have you heard the expression “Writers live a solitary existence” (or words to that effect)? The fact of the matter is, most writers need to be alone in order to write. A quiet place, free of distractions from well-meaning family and friends, is one of the most important tools in a writer’s arsenal. But what about when you’re not writing? What writers also need is to find lives beyond their desks and computers. After all, fresh experiences feed the creative process. If we do nothing but sit at a desk all day, staring at a blank page or a flickering screen, we soon run out of ideas. 1. Pick up a new skill by taking a course--and not online. Sign up at your local community college. Learn to make crème brulée or find out what an f/stop is and how it’s used. 2. Go for a walk in the park, taking your time and taking in your surroundings with each step. With each visit, you’re bound to find something new. 3. Make a lunch date with a friend. Try a restaurant that neither of you has gone to before. And order a dish you’ve never tried before, either. 4. Join a bowling team or a book club or some other social group. Shy around strangers? Drag a willing (or even slightly unwilling) accomplice along for moral support. 5. Now here’s the really scary option. Go on a date! If you’re married, make a date with your spouse. Just give yourself permission to take the evening off and have some fun. The best part is, you don’t have to write about any of it when you get home. But you can if you want to. Better yet, repeat any of the above and/or make a new list of things to do. The possibilities are only limited by your imagination--as a writer, you have plenty on which to draw. 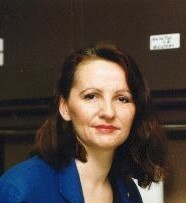 Betty Dobson is an award-winning writer of short fiction, essays and poetry. She also writes newspaper and magazine articles but is still waiting for those awards to materialize. In the meantime, she continues to run InkSpotter Publishing, which is always open to submissions and queries. Betty, great post. I find taking a walk -- we have seven dogs -- really gets my muse going. And as a confirmed book-junky, I'm always happy to spend time in a library or a bookstore; I get anxious when my to-read pile gets low. It is so important to "refill your well" otherwise it'll go dry! Getting out in nature or just taking a short walk helps me. Good suggestions Betty, as long as it doesn't become procrastination! I sing in a concert chorale --practice 2 1/2 hours a week -- walk, weave and go to exercise.